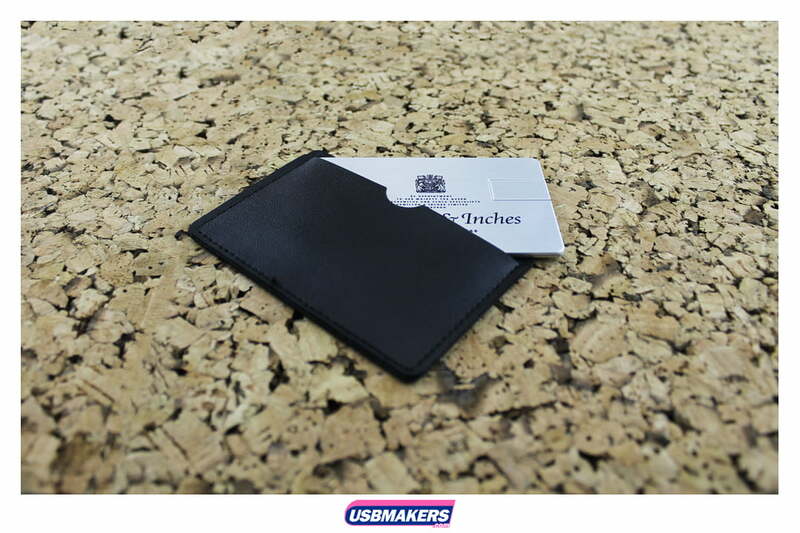 The Alloy Credit Card USB style is one of our newest additions, which has quickly gained popularity. 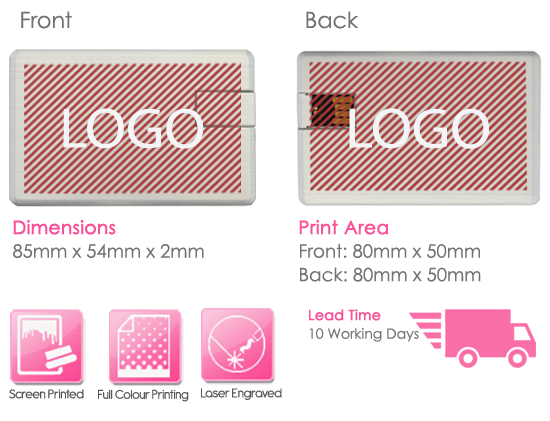 The large printing area on both the front and back of the stick is suitable for companies with larger, more complex artwork logos. 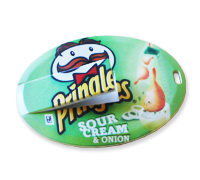 A tab at the top of the USB protects the USB connector, which can be folded out to allow instant access to your data. 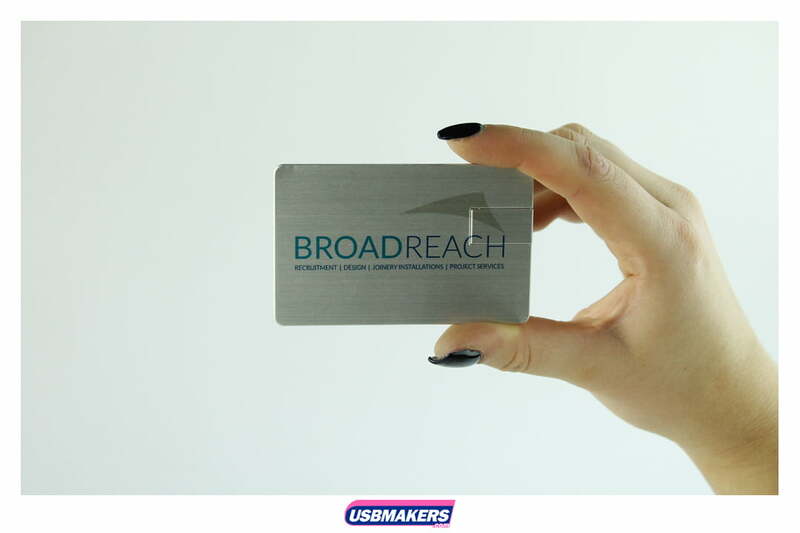 The Alloy Credit Card is available to be printed in 1-4 spot (solid) colours, or in full colour and for more colourful logos, your drive can alternatively be laser engraved, offering a range of capacities starting from a small 64Mb and continuing up to a larger 64Gb. 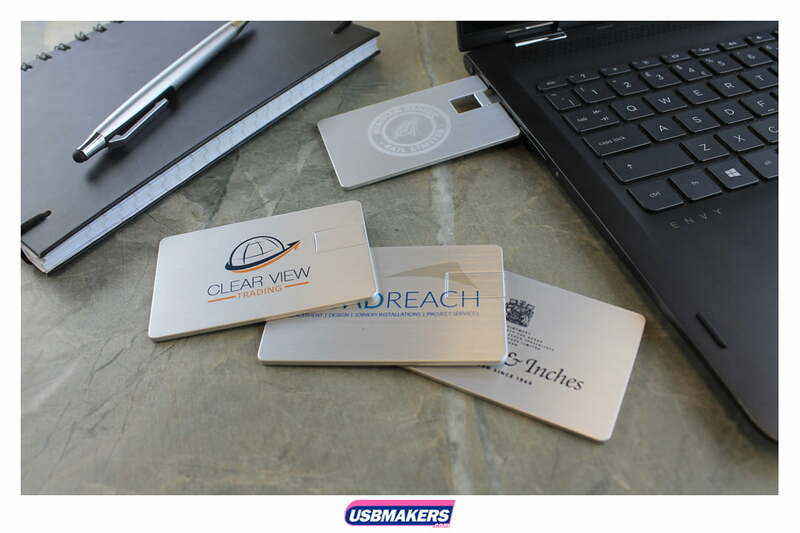 Like many of our styles, we offer a 400Mb data upload onto your memory stick free of charge.